We are currently at UWCSA Waterford Kamhlaba working with them to continue to move us forward as we head to August. I have to say, one of the best parts of the trip so far has been the amazing, positive response from students and staff here. They are all so excited about us becoming a UWC. Another great thing about the trip has been that it has been very reaffirming. There is so much that we are currently doing or that we are moving to that matches with what is happening here very successfully, that it bodes very well for next year. I look forward to sharing what we have learned with everyone in the coming weeks. A group of students and adults at ISM are building a bench. Not just any old bench, an Eco-brick bench!!! If you make an Eco-brick, it helps the environment. Your challenge is to put soil or wrappers/plastic bags in a plastic bottle and pack it tightly to make an Eco-brick. 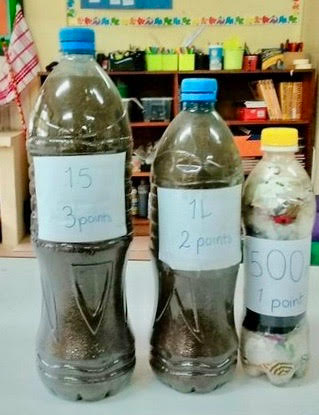 It is going to be a house competition with points earned for different sized Eco-bricks. If you stuff the bottle with plastic wrappers rather than soil, you will get an extra point! 1. Fill a plastic bottle with soil or other plastic materials. It can’t be squishy or it doesn’t count. 2. Take it to Room 16 (the P6 classroom) at the beginning of the day or at break time. 3. Tell us what house you are in and we will count it. This challenge was made because plastic is not good for the environment. Plastic can’t just be put anywhere because it always affects the environment. An Eco-brick is a good way of recycling plastic. Do not forget, you can help us build our Eco-Brick Bench tomorrow, Saturday the 13th April, in the playground between 8:00am and 1:00pm. Remember, wear old clothes and prepare to get muddy! Parents, please do not leave your child to work on the bench without supervision. 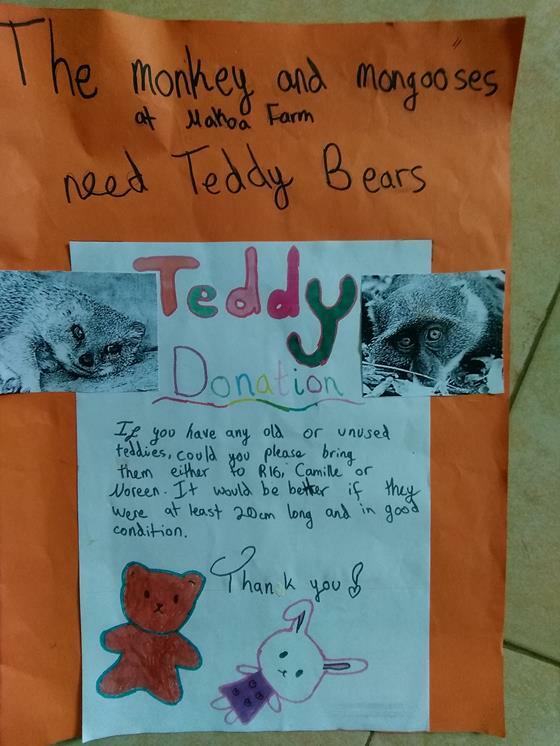 As part of their Exhibition work, Camille and Noreen are collecting used teddy bears for the mongooses and monkeys at the Makoa Farm animal sanctuary. Please bring any donations to Room 16 (the P6 classroom). The SIMBA CAS group will be holding a Bakesale on Monday 15th April at the breezeway, during break and lunch time. Please come along and sample our delicious treats. All money raised will go towards the purchase of re-usable sanitary towels for the girls at Simba Foundation. Deogratius (Deo) Chami is a well-known face in and around Moshi and for good reason. He is, perhaps, best known for being the first Tanzanian paraplegic to accomplish the almost unbelievable achievement of scaling Mount Kilimanjaro in a wheelchair. It took him and his team seven days. Consider that for a few moments. Incredible. This week, we were fortunate enough to welcome Deo to our school. He spoke to a room of students, parents and community members about his life. He shared how he was raised in Kibosho, the sixth of eleven children. 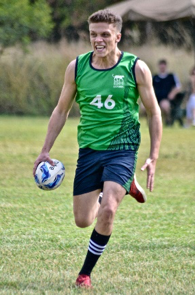 As a young boy, he was interested in science and loved to play football. When he was 13 years old, he had an accident that changed his life forever and, ultimately, resulted in him becoming a wheelchair user. He spoke openly and frankly about the challenges he faces in his day to day life. However, one of the underlying themes of his presentation was his unwavering commitment to seeing these challenges as opportunities. Deo calls himself a “Change Agent” for people with disabilities across the region and now dedicates his time to supporting others, raising awareness and offering his expertise in the area of accessibility. At the end of his presentation, he fielded questions from the audience…which included students from P1-D2! I think everyone in the room would agree that listening to Deo was a very humbling and inspiring experience. I am hopeful that he will be able to return in the not too distant future to talk to us again. 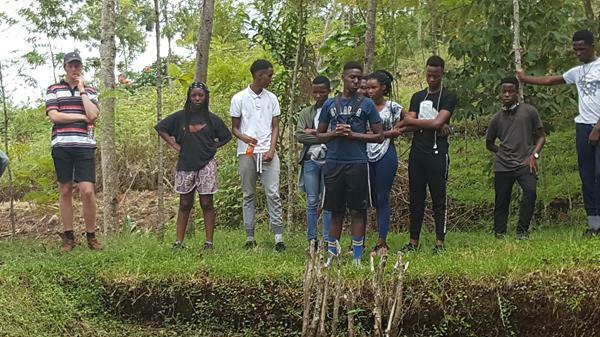 On Wednesday of this week, all D1 students studying ESS and Biology took a field trip to Roots and Shoots at Mweka, Kilimanjaro, tree planting project. The secondary MAP tests will be conducted from Monday April 15 to Thursday April 18, 2019. A detailed schedule has been sent to M1-3 parents. This quarter, students in M3 and M4 are required to make choices for the next academic year in their languages, arts and mathematics courses. Students will be given comprehensive information to enable them to make informed choices. Parents / Guardians are requested to discuss this with students and consult teachers as appropriate. These choices inform their future courses in the Diploma Programme and should, therefore, be approached with utmost care. The M1 and M2 students continue with workshops on approaches to learning skills. The workshops cover Self-Management and Communication skills. In Self-Management, they are exploring organisation skills which include the use of a diary/planner, timetables and packing school materials. In Communication, they are looking at note-taking and how to use key verbs (“command terms”) when writing assessments and assignments. The students are in groups and, at the moment, seem to be enjoying the tasks. 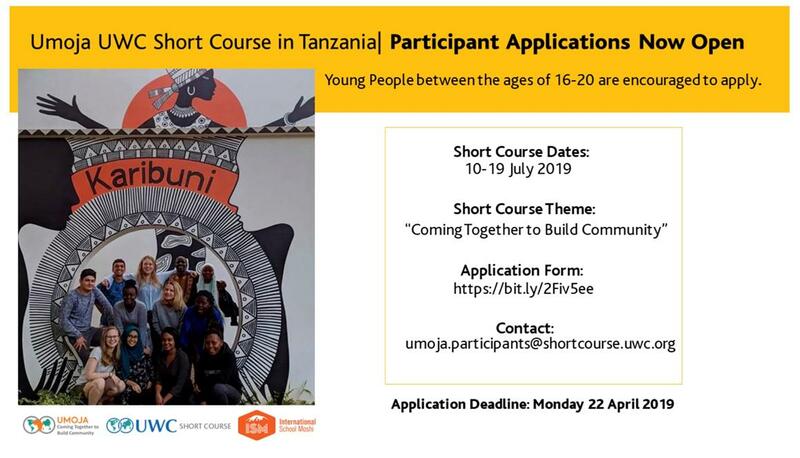 This trip is slated for May 22-24 at Makumira University and is organised by the Arts and Languages Departments. The material for the examination above was released on April 1 as scheduled. Students and teachers have received it and are currently referencing it for the forthcoming examinations. The ePortfolio student work in English and French LA, Drama, Personal Project, Music and Visual Arts has been uploaded onto the IB secure site. The final moderated results will be released in August 2019. Our U13 mixed, U15 boys and girls and U19 boys and girls touch teams travelled to ISMAC this Saturday for their first tournament in the NTAA this Quarter. The level of improvement from all teams was staggering between their first games and their last. Special mention to the U19 and U15 girls who have won all bar one of their games and have given themselves a chance to take out their competitions, likewise the U19 boys won 3 and lost 1, their competition will also come down to the results in the last tournament on Saturday the 4th May. ABRSM practical music exams will take place on Thursday 16th May. Performance Platform Practice for all students taking exams will take place on Friday 10th May from 12:45-3:15pm in the Music Department. The exam schedule will be worked around MYP and DP exams for all students with other exams on that day. The Easter break falls on Friday 19th to Monday 22nd April. This will be the first time in a long while that we have had this break when boarders are on campus. There are no classes on Friday 19th and Monday 22nd respectively. There will be activities planned for this weekend but parents are free to bring their children home for the celebration if they wish. Kindly let us know by Monday 15th April if your child will come home for Easter and, also, share transport details with us. This is the final quarter for the D2 students and, as expected, they are all preparing for their final examinations which begin early next month. Their last day in class will be Thursday 25th April. The following week, they will begin their Study Leave. During this period, D2 boarders will be allowed to study in their dorms but are encouraged to come to school for consultation with their teachers. The week went well as students started clubs, the P4, P5, and P6 worked on MAP Tests while P6s carried on with their Exhibition engagements. The week ended well with a beautiful Primary Gathering by the EC on a story about saving our trees. We have an addition in the Primary section and this is “Baby Tumaini” ( the baby of the Sparkling Elephant starring at the front of the school). The children are looking for a name for her and she now stands by the breezeway outside the P4 class. All students are now well into their inquiries and the school has a wonderful buzz of learning. Well done to the KCMC Service Club for inviting Deo Chami to talk to us at school. Deo is an advocate and peer group supporter for people with spinal injuries. He presented so well on being committed to taking positive action despite limitations you might face along the way. On Monday, we will have the world Earth Day assembly where our P6s will also share their Exhibition experiences and actions. I would like to wish all Christian families a blessed Easter weekend and all families a restful break. This week, EC looked into the way people can take stories and change them to produce new ones. 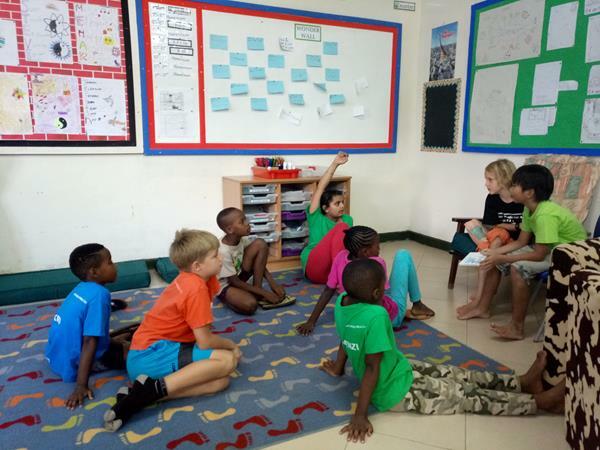 We took one of our favourite stories, the Great Kapok Tree, and changed it to reflect our own experiences here in Tanzania. In this way, the Kapok tree, indigenous to the Amazon, became the Great Baobab. The animals in the story changed too, to some familiar African favourites. The children also helped to develop their own lines. We began to see how a story can be told through body movement and dance, as well as how changes in a musical piece can inform our own movements on stage. Beyond this, we developed a number of the Learner Profile attributes, for example, risk-taking. You will notice that our EC2 children will begin working on an increasing range of sight words over the next few weeks. Please support all of our EC children by continuing to read widely both with and to them at home. Swimming continues on Tuesdays as usual. Delving deeper into natural resources this week was very eventful. The children are beginning to focus in on their personal area of interest. 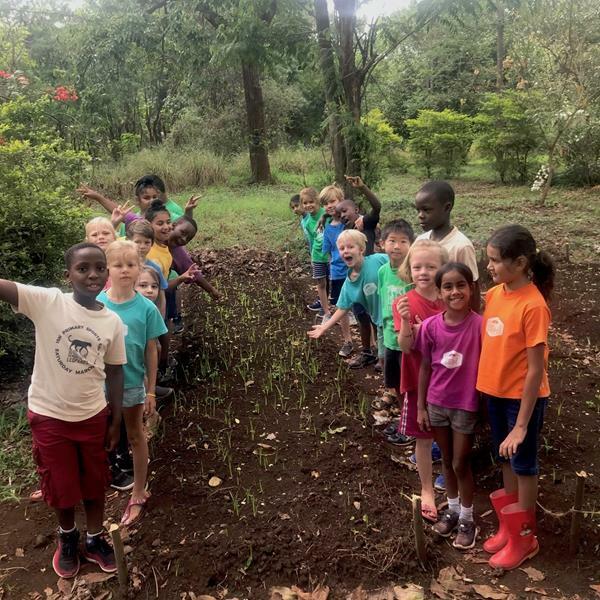 In the coming couple of weeks, they will get into groups and begin an in-depth study into one natural resource of their choice, looking into what it is, how it is used and how we as humans impact it or are impacted by it. Continuing with our counting in 2’s theme, the P2’s pushed forward with multiplying by two and creating word problems for each other as seen in the picture. It was interesting to listen to their discussions during math talks as they began to link halving to division and it being the opposite of doubling. Next week, we will look at how to find a quarter of a number of objects. During language lessons, we will start to look at action words in our sentences and how they make our sentences more interesting. P2/3 have been thinking about differences between fresh food and processed food this week. They have been inquirers, using their research skills to find information about the differences between the two and how to tell the difference. We have visited our sweetcorn beds and seen our plants growing. Students noticed that one bed has more weeds than the others, we took a look around and saw that this bed has the most amount of sunlight. This has prompted a discussion about photosynthesis. We have continued to work on multiplication. There is an increasing amount of comfort in using arrays, grouping and repeated addition to solve multiplication problems. A quick reminder to please return field trip forms at the soonest and that there is an Earth Day assembly on Monday 15th April in K-Hall. The MAP Testing has gone smoothly and the children have enjoyed finding out more about biomes. It was interesting to learn more about different animals and we will continue with note taking and report writing through next week. Another highlight this week was learning how to make beaded animals. It was a great inquiry lesson as we tried different materials before we found the write one for the project we were trying to make. Students will learn more about median, mode and mean as well as word problems on various operations. This week, the group continued their exploration of the human body- learning bones and their scientific names, being organ specialists, and answering some of their initial questions of inquiry that they created at the beginning of the unit. Throughout the week, they did their MAP testing, and showed respect to one another during testing time. During math, the class had a fun time learning about coordinate graphing. We played games and did an art project that were connected to graphing. A few of them said they wanted to show parents at home the version of Battleship that they were playing. The next few weeks are shortened weeks due to various holidays. 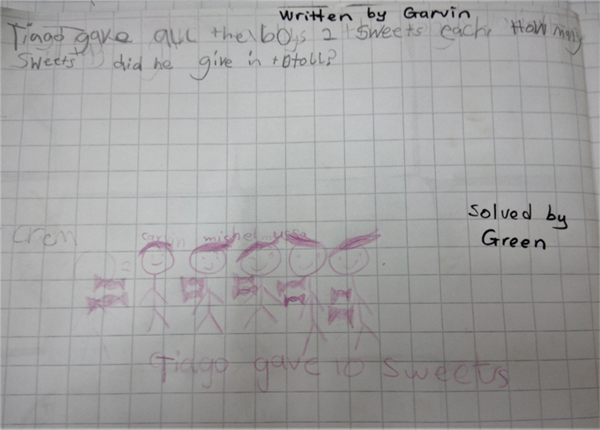 On April 18, the class would like to have a Feel Good Feast where they share food that is good for them. We will share games that day, and do extended stretching with breathing exercises. Some other visitors with fun experiments are being planned for the end of the unit. 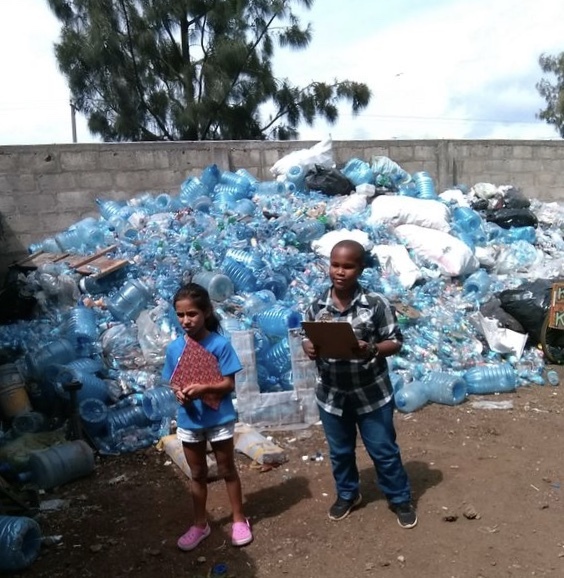 Imani and Mark are collecting Eco-bricks to build a bench. They have also worked with Gelske Noorlander, making beeswax food wraps as an environmentally friendly alternative to plastic cling film. Fredy has been surveying the MYP children regarding what technology they use and how much. He is proposing a digital detox challenge – how long can you go without checking your phone? 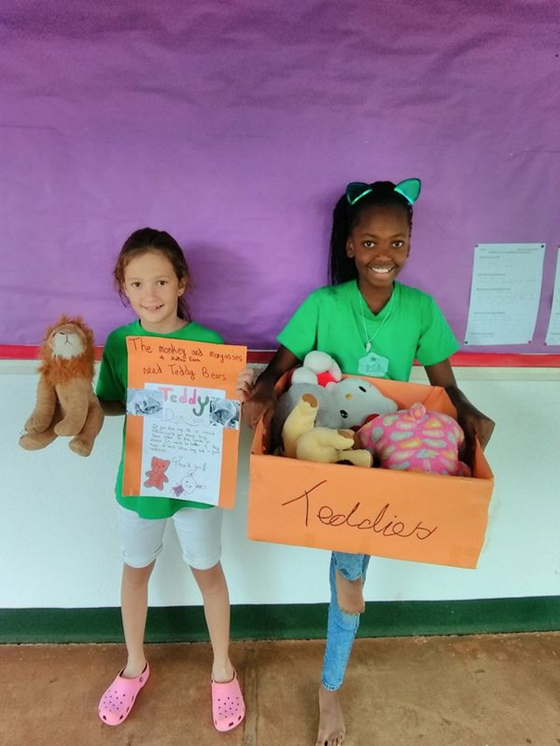 Aiden, Prisca and Zuberi have discovered that, although plenty of sports opportunities are offered to girls at ISM and many girls profess a desire to play sport, the take up of sports, like soccer and rugby, by girls is low. They are trying to find a solution to this, starting by offering a girls only soccer session one break time next week. Amidst all of this activity, the P6 students also managed to fit in their MAP tests. Please come to the assembly on Monday 15th to hear the children present on their Exhibition journey so far.